Our fourth day of the project. A lot of work had to be done today. Today's program was really tight..
We started early in the morning at the Foreign Minister's office where a meeting was held between Jimmy Carter and Norway's Foreign Minister Jan Petersen. Afterwards there was a brief meeting with the press. And of course..we were there with our cameras..
After the visit to The Foreign Minister's Office our next goal was The International Press Center, by the Oslo harbour. 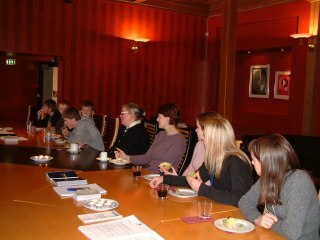 We were welcomed by Anne Britt Lilleholm who showed us some of the facilities which the international journalists have. We also got the opportunity to talk to journalists who worked at the press center. One of them, Pierre from a French newspaper, told us many interesting things about his work, especially in connection with The Nobel Peace Prize celebrations. 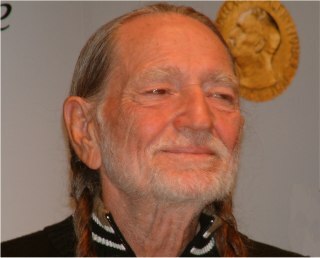 Willy Nelson was at the press conference..
More from the press conference..
Nelson: He makes you proud to be an American.. While most of us were at The International Press Center, two of our students were accredited to the press conference with artist before tonight's Nobel Peace Prize Concert in Oslo Spektrum. The press conference was arranged at the exclusive Hotel Plaza. And they were all there: Willy Nelson, Santana, Suede, Sir Anthony Hopkins, Jessica Lange, Michelle Branch and so on.. Many journalists from a lot of countries were there to ask their questions. 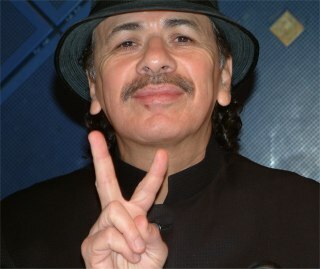 One of our students got the chance to ask Santana a question and he responded very well..
Our reporter asks Santana a question. In the afternoon President Carter again was back in The City Hall. 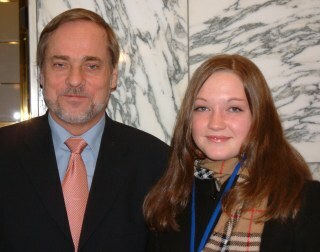 This time he to meet school children from Oslo. Children from many schools in the capital entertained Carter and his family with dancing, beautiful songs and poems. All aiming for peace - "All We Are Saying, Is Give peace a chance". On his way out we heard Jimmy Carter say that the children and their performances were " beautiful". 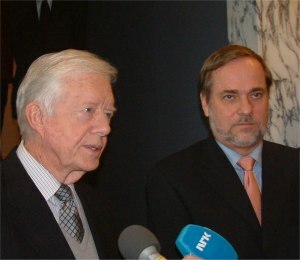 Before leaving The City Hall, as the only journalist, one of our students got the chance to ask Carter about his expectations to the forthcoming Nobel Concert the same night.. Finally the last event of the official Nobel program 2003 - The Nobel Peace Prize Concert. Again two of our students were accredited - one as a journalist and one as a photographer. The show is broadcasted around the world each year from the Oslo Spektrum to more than 1 billion households. The Nobel Peace Prize Concert. This year's Concert program honored the 2002 Peace Prize recipient, President Jimmy Carter and featured the peace concert, plus clips of the work of the Nobel Laureate, clips from the prize-giving ceremony, greetings from world figures and Nobel Laureates and an overall celebration of peace. The concert, hosted by Anthony Hopkins and Jessica Lange, featured Angelique Kidjo, Willie Nelson, Suede, Jessye Norman, the Norwegian Radio Orchestra, Sissel, Joaguin Cortes, Michelle Branch, Paul Bateman, Josh Groban, Mari Boine, Laura Pausini and Carlos Santana. And it was an amazing show in the 8,000-seat Oslo Spektrum arena. 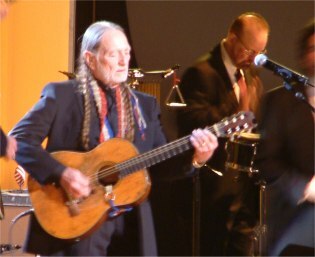 The peak of the show was perhaps when Willy Nelson performed "Georgia On My Mind". It was really beautiful and Mr.Carter looked to be really overwhelmed by it all - standing on the scene watching Nelson closely.. It almost looked as if Jimmy Carter wanted to sing along. 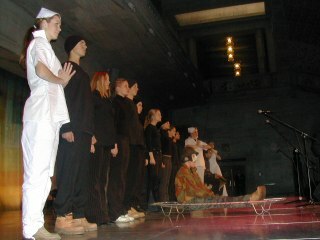 At the end all artists gathered on the scene to perform John Lennon's classic "Imagine". An amazing ending to an amazing night! !